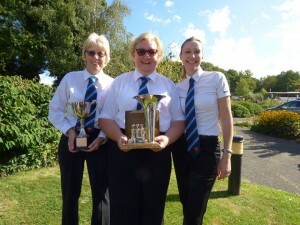 LGB Brass swept the board in the second section at the scaba Autumn contest in Crawley on Sunday 25th October. The band took first place in the hymn tune category, and followed that by taking first prize for their superb rendition of “Images for Brass” by Stephen Bulla. There were individual awards for Angela Holloway (best solo horn), together with best horn and bass sections. LGB’s musical director Ian Stewart was also awarded the conductor’s prize. 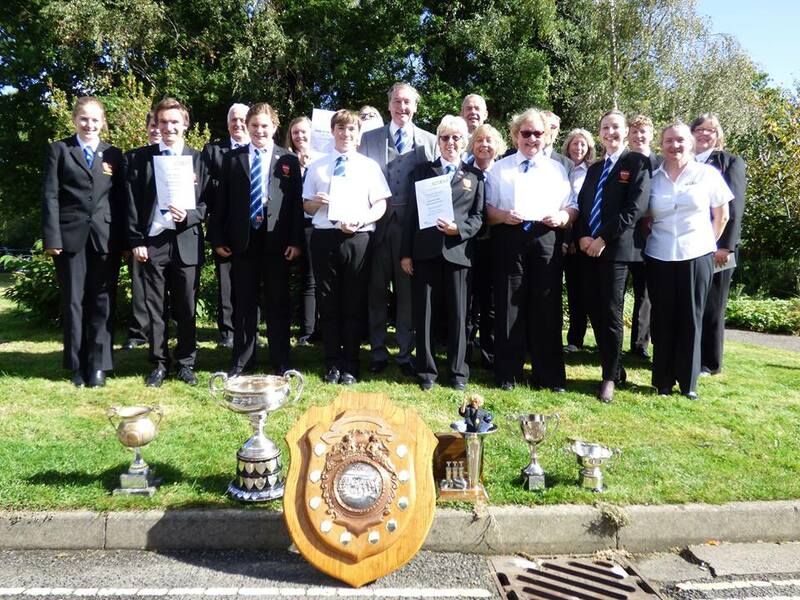 In addition, following a run of success in the recent past, LGB Brass was awarded the prestigious ‘Band of the Year 2016’ title – a much-coveted prize. 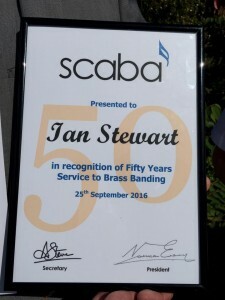 The Southern Counties Amateur Band Association (scaba) also awarded a certificate to Ian Stewart to celebrate his 50 years of service to brass banding, as a player with many top bands as well as musical director for LGB Brass. Our heartfelt thanks and congratulations go to Ian for this marvellous achievement.